A state appeals court has rejected a class action filed by a Medicare Advantage organization seeking double reimbursements for its costs of providing care that should have been covered by a no-fault auto insurer. In a unanimous ruling, the 3rd District Court of Appeal said such organizations would have to establish each claim separately against Ocean Harbor Casualty Insurance. The court overruled Miami-Dade Circuit Judge Samantha Ruiz-Cohen, who had certified a class potentially including 37 Florida Medicare Advantage organizations, or MROs. The lead plaintiff was an entity called MSPA, an assignee of the defunct MRO Florida Healthcare Plus Inc.
“Proof that certain medical bills paid by MSPA’s alleged assignor should have been paid by Ocean Harbor as a primary payer will not establish that other medical bills paid by a different MAO should also have been paid by Ocean Harbor as a primary payer,” Judge Thomas Logue wrote. “To the contrary, proof to establish liability will necessarily devolve into a series of mini-trials under Florida no-fault law … which precludes a finding of predominance and renders this case inappropriate for class action treatment,” Logue wrote. MAOs are private companies that contract with Medicare to provide coverage at a flat rate per enrollee. They profit to the degree they provide the required coverage for less than the flat rate. The coverage is meant to be secondary to other, primary, coverage, including personal injury protection policies. Miami plaintiffs’ attorney John Ruiz argued that he could establish the common claims necessary to sustain a class action using an algorithm that analyzes police reports of accidents and other records that Ocean Harbor must report under state and federal law. He argued that Ocean Harbor’s obligation to pay was automatic once his client established that it had made payments reimbursable by the insurer. “We reject the notion that MSPA claims reimbursement rights are not governed by Florida law relating to the recovery of benefits under a PIP policy, and are therefore automatic,” Logue wrote. 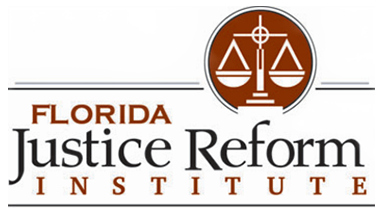 William Large, president of the tort-reformer Florida Justice Reform Institute, praised the outcome. “The plaintiff has filed dozens of copycat cases against Florida insurers raising the same claims — this case was simply the first to reach the class certification stage,” Large said in a written statement.